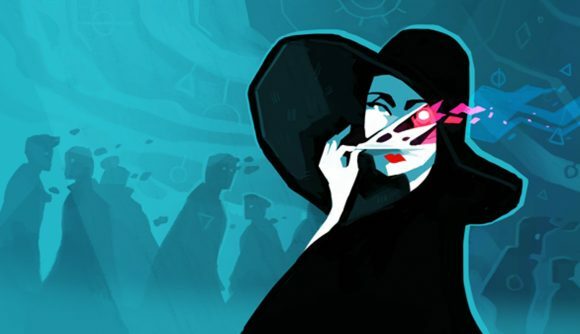 Eldritch horrors and monsters who live in the ideas contained in arcane texts have been Alexis Kennedy’s constant companions for years now – he’s the writer behind the likes of Sunless Sea, Fallen London, and most recently, Cultist Simulator. Now a passing whimsy of his has congealed into some kind of entity – a new game, midwifed with the help of the modern-day Necronomicon, which most people these days know as Twitter. While working on an update for Cultist Simulator that will add a punishing New Game Plus mode, Kennedy took to Twitter to share a passing thought he’d had – a more relaxed Cultist Simulator experience, where instead of being constantly menaced with annihilation by dream demons or inquisitors, you’re instead put in charge of an occult library, and your job is to file the institution’s collection of forbidden knowledge such that it’s easily accessible to patrons. Kennedy made the mistake of (cautiously) committing to the idea when his initial tweet met with a positive response. “OK, if this reaches 1,000 RTs I will try to convince [Weather Factory co-founder Lottie Bevan] to let us make this,” he tweeted. The tweet indeed reached 1,000 retweets, and so Kennedy posted an update to the Weather Factory’s site, explaining what his plans for the project are. The unnamed occult library game is still in the concept phase, and Weather Factory has other projects in the pipeline, but Kennedy tells me it’s pretty likely at this point – they’ve just got to work out the details first. And it’s a genuinely neat idea: You take Cultist Simulator’s notion of building a new Lovecraftian fiction out of randomized game elements, but instead of drawing cards, you might be pulling tomes and grimoires off of dusty shelves, gradually piecing together a narrative with each decision you make. I’m imagining some combination of Kennedy’s past writing in something that might be a bit like Lucas Pope’s Papers, Please combined with The Rusty Quill’s Magnus Archives podcast, which is a series of spooky, intertwined stories as told by the head archivist of an occult research institute. Of course, it’ll most likely be something else entirely. To stay up to date on the project, you can subscribe to the Weather Factory’s mailing list – and there’s a convenient link just for that purpose in Kennedy’s blog post.